The checklist corresponds to the numbered folders. 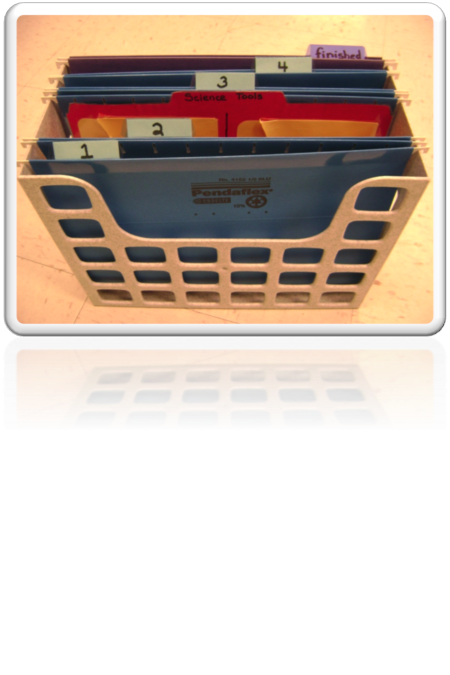 The student knows to complete the work in the four folders. After checking each number off, the student then has a few minutes to engage in a highly reinforcing activity. However, other students may need a bit more to be successful. Here are some considerations if the checklist is not as effective for the student. Add a motivating activity at the end of the checklist. Remember to encourage the students to check off activities as they are completed. This can increase independence and provide a sense of accomplishment. Use a “sandwich” technique of strategically placing simpler, or more preferred activities at the beginning and end of the checklist. When the student sees an activity that they would like to do at the beginning of the list, they are more likely to get started. Once they have checked off the first activity, then they are to proceed to the next. Although this might not be a preferred task, they can easily see that another activity that they like to do is soon to follow. Add an element of choice. You can do this by either having the student choose three of the four activities on the checklist. This allows them to have some control over their academic activities while still holding expectations of completing academic tasks. 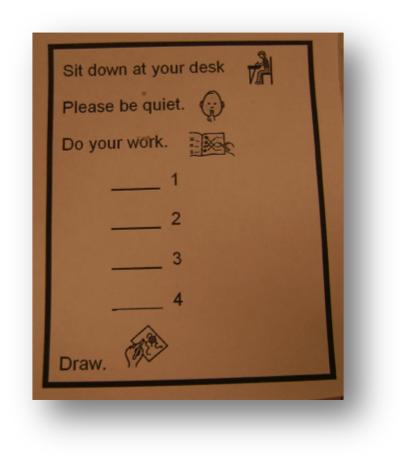 Another way to provide choice is to have the student decide the order in which they complete the checklist. When you go to the grocery store, you might skip around the list, but you still get everything that you need by the end of the shopping visit.